Also known as Naga Jolokia, Ghost pepper or ghost chili. 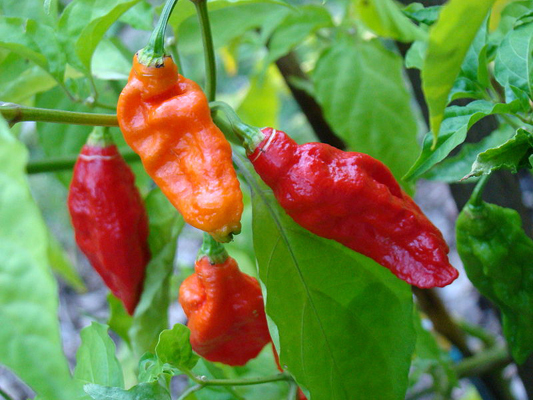 Bhut Jolakia is considered the hottest chile pepper in the world. Ripe peppers measure 2” to 3” long and 1” wide with an orange or red color. Give Bhut jolokia plenty of room to grow, especially if you plant it in the ground. These chili peppers can grow to 5' high by 5' wide in ideal conditions. Caution should be used when handling, wash hands and avoid the eyes.